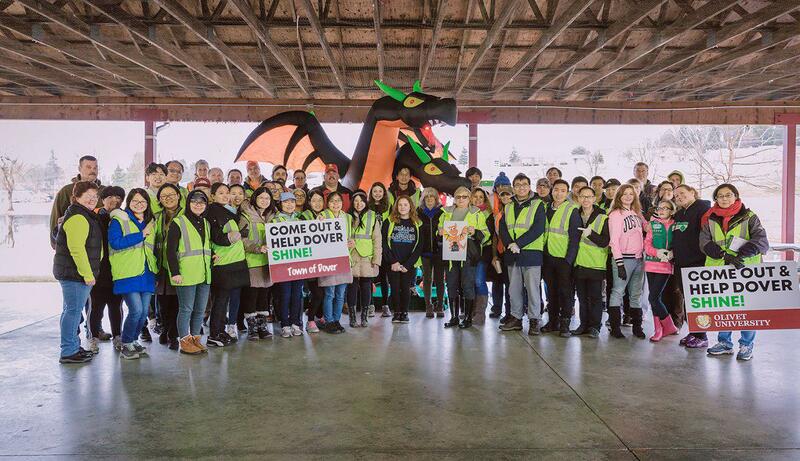 The Annual Doctoral Colloquium that kicked off second week of November, is the first scheduled special event to be held at the Olivet University San Francisco campus in Mill Valley, CA. The colloquium has PhD and D.Min. students attending featured seminars and lectures along with group discussion, presentations and engagement activities outside of the class. 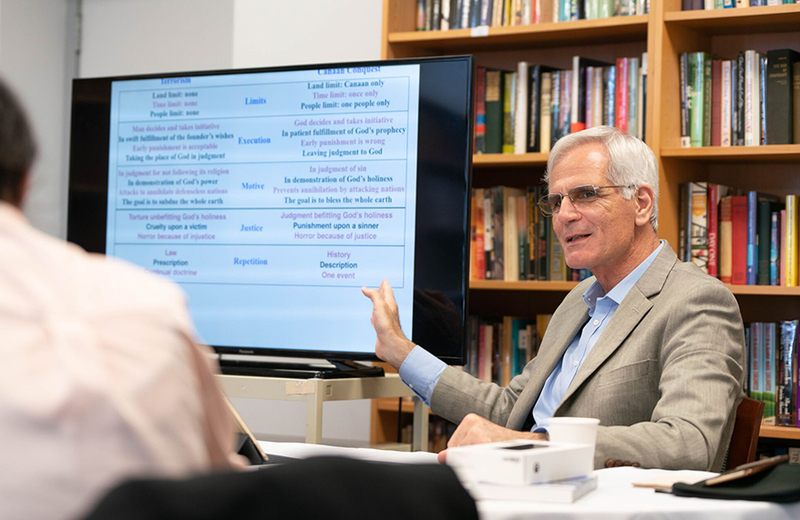 Elective seminars included Global Theological Foundations, The Spiritual Autobiography and Doctoral Research and Presentation, Trinity, Psalms, Business as Mission, Apologetics for Ministry, and Theology & Current Issues. Spiritual Autobiography taught by Dr. Mark Wagner helped D.Min. students to explore their God-given gifts, personality and strength to have a better understanding on God's purpose in their life. He introduced several models and practical tools to assist students in formulating their autobiography, a key to accomplish D.Min. final dissertation in the future. Dr. Wagner complimented the Olivet culture and testified that Olivet students will become the bridge builders and mediators of Christianity to the ends of the world. 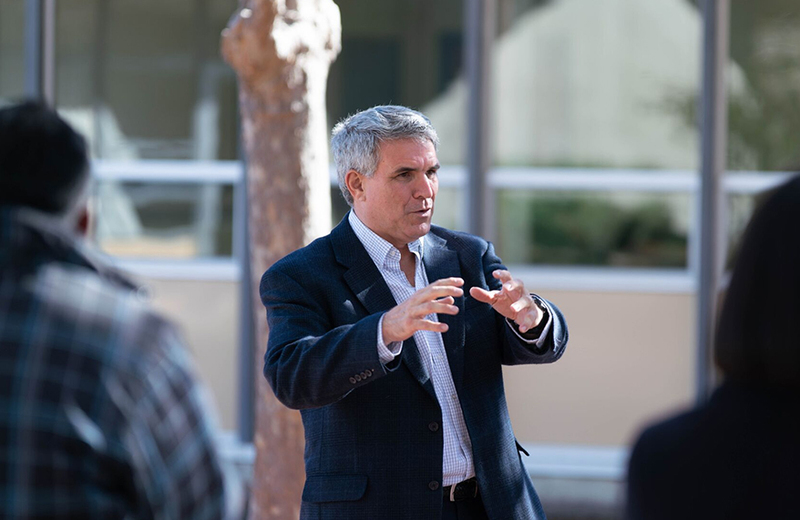 Oneness in Trinity taught by Dr. Imad Shehadeh gave new insight to D.Min. students. In the first week, Dr. Shehadeh covered topics regarding the main obstacles while receiving God's revelation; the distinct uses of the expression "God" in the Bible; the main errors about the Trinity that are repeated throughout history; the question of whether the God proclaimed by the Quran is the same as the God of the Bible; the historical struggle of Absolute Oneness; and the harmony of the doctrine of the Trinity with logic. "I learned a lot about the beauty of trinity," said Sonia Kim, a D.Min student. "It was not just a complicated theology but revelation of God's attribute and character. I am grateful that I came to know more about the Trinity. I wish to broaden and deepen my knowledge of Him so that I can spread the Gospel with confidence and sincere heart." The PhD colloquium had presentation sessions where students had to submit their research papers from earlier studies and present the same before the class. It was then followed by a time of questions and critical review of content and presentation style aimed at helping each student to refine their research and presentation skills in a collegial environment. 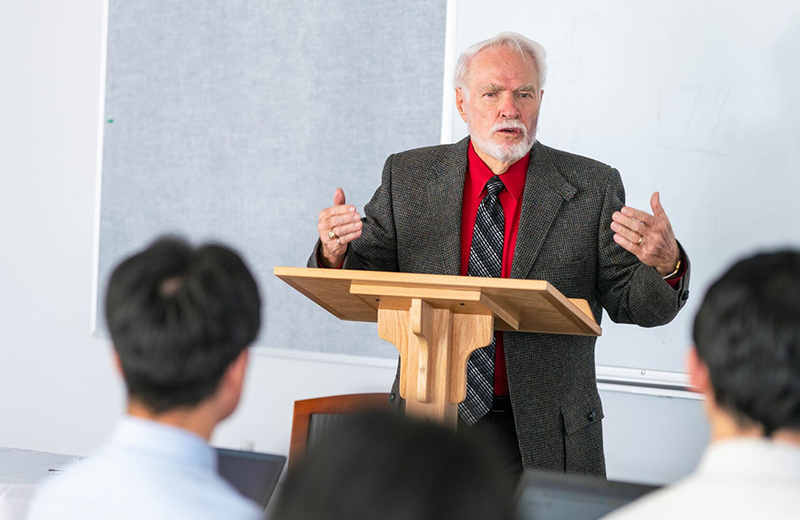 Dr. Donald Tinder introduced his paper on denominations, their history and current developments, with students expressing their appreciation for the great insights and asking some pointed questions that triggered further conversation. In addition, the colloquium invited Rev. Timo Plutschinski, who is leading the Business Coalition of the World Evangelical Alliance (WEA) and Partner of MIC Corporate Finance, as the guest lecturer. 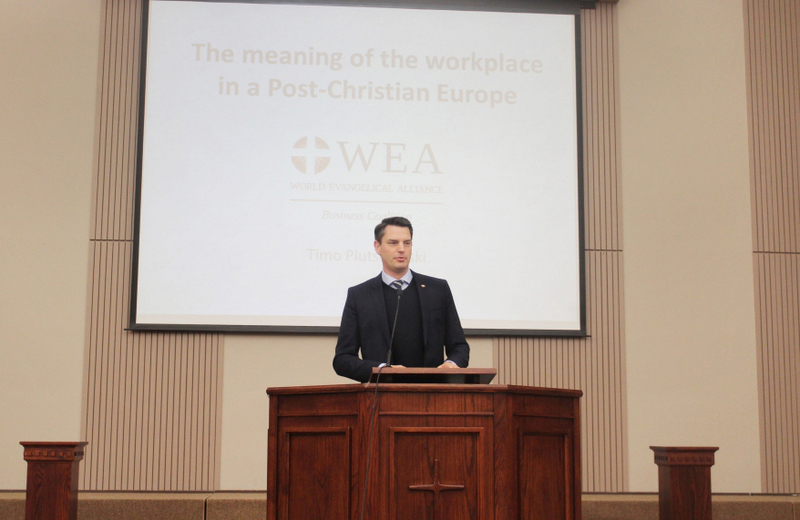 His lecture covered the meaning of the workplace in a Post-Christian Europe and a overview of the current situation of Christianity in Europe, where Christianity has left the public arena and is confronted with many ideology in the post-modern world. "The west has amputated its soul and we need to fill its vacuum. It means a different view on workplace and business," said Rev. Plutschinski. After the lecture, Rev. Plutschinski took time to answer different questions from the audience. "I am so grateful for this opportunity to get to know the topic and the mission of the organization. I became more aware that Christians are called to live out Christ-centered life in their workplace," said a student who attended the lecture.